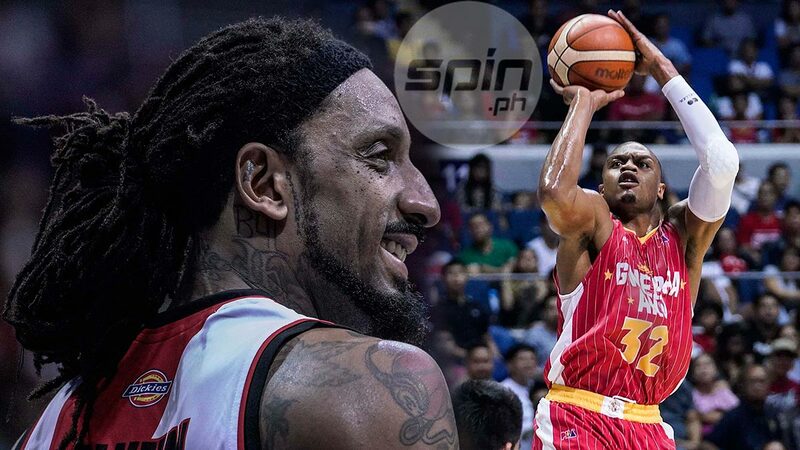 Renaldo Balkman and Justin Brownlee set their affinity aside for the meantime in the PBA Commissioner's Cup Finals. B AND B will now be B against B. Partners two months ago at San Miguel Alab Pilipinas, Renaldo Balkman and Justin Brownlee now find themselves on opposing ends as San Miguel and Ginebra dispute the 2018 PBA Commissioner’s Cup Finals. And for the two do-it-all reinforcements, they agree that facing off against each other will be a little unusual. “I guess it’s a little weird from being teammates a couple months ago, he’s on the other side now,” said Brownlee. The two were instrumental in Alab’s title conquest in the 2017-18 ASEAN Basketball League season last May, and it didn’t take long before they took their act to the PBA, leading their respective sides to being the last two teams standing. This wasn’t the first time they clashed, with Balkman’s San Miguel taking the 107-94 overtime win over Brownlee’s Ginebra last June 3. But this time, the stakes couldn’t get any higher. As close as their bond is, both Brownlee and Balkman know that all is fair in love and war. “He’s my brother for life but for right now, he’s an opponent,” said the Ginebra import, who has been averaging 28.1 points, 12.5 rebounds, 6.6 assists, 2.1 steals, and 1.2 blocks. Brownlee is hoping to go 3-for-4 in his stints with the crowd favorites as he seeks to continue to establish his lore as one of the best reinforcements to ever suit up the Ginebra jersey. Meanwhile, Balkman, who is averaging 28.1 points, 12.7 rebounds, 4.3 assists, 2.2 blocks, and 1.7 steals, is aiming for a fitting ending to his redemption tour with the Beermen as the franchise’s Grand Slam drive continues. “It’s gonna be a fight to the end. We’re both trying to compete to win a championship, at the same time, we’re gonna give everybody a good show,” said the Puerto Rican import.